R-Sky - is a small manufacturer of equipment for astronomy enthusiasts. Our key product is a heating system for telescope and camera lenses and eyepieces that prevents lens sweating and dew-fall during photo sessions and observations. We produce heaters for virtually all types of telescopes and eyepieces. 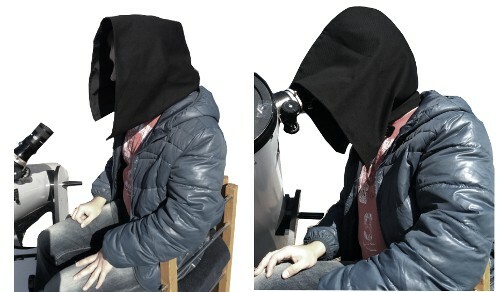 The Observing Hood (“Monk” hood style) is a necessary accessory for any amateur astronomer! A complete list of R-Sky products is available in our interactive price list.